The Stamford Corners apartment complex has sold in one of the city’s largest commercial transactions so far this year. 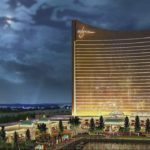 Members of the Massachusetts Gaming Commission have turned their attention to deciding whether Wynn Resorts remains suitable to hold the lone Boston-area resort casino license. 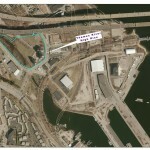 The Bass Pro Shop in Bridgeport’s Steelpoint Harbor development is getting a new neighbor. Industrial equipment manufacturer Emerson is planning a new headquarters and manufacturing facility in Fairfield County. The high winds that swept New England Wednesday damaged a large multifamily building under construction near downtown New Haven. Pledging that the company has undergone a “transformation” since Steve Wynn left the last year while embroiled in sexual misconduct allegations, Wynn Resorts on Tuesday set out to convince the Massachusetts Gaming Commission that it remains suitable to hold the lucrative Boston-area casino license. Two brothers who risked workers’ health through the illegal removal of asbestos from a property they owned have been ordered to pay fines and perform community service. A large portion of the unit in a 100-unit East Hartford condominium complex have been sold for $83,333 per unit. A state agency is planning a $100 million revamp of New London’s State Pier to support the burgeoning wind industry, but won’t disclose any design and engineering studies or any cost estimates. Bridgeport Mayor Joe Ganim sought to convince the audience at his State of the City speech Tuesday that a seemingly troubled downtown revitalization project he made a major part of his reelection campaign is still going ahead. More than 140 firefighters from dozens of area departments battled the fierce flames Saturday at a 120-year-old former cotton mill in Killingly and at a former factory building about 26 miles away in Windham. A bill in the state legislature aimed at giving distressed towns and cities more freedom to revitalize decaying historic buildings has been watered down significantly. A review of the New Haven area’s economy finds positive indicators suggesting it is escaping the larger challenges faced by the rest of the state. Members of the group No Tolls CT are holding protests Saturday at five locations around the state. West Hartford’s movie theater is being reborn as a luxury cinema. Following on the heels of last year’s deal to bring tech giant Infosys to the building, Morgan Stanley has agreed to move its local operations to downtown Hartford’s Goodwin Square building.